Hallways constitute an intricate part of your home, which you can decorate, remodel and glorify with the right accessories for perfect customisation. These connect different rooms in your house, besides being a spacious area of utility. 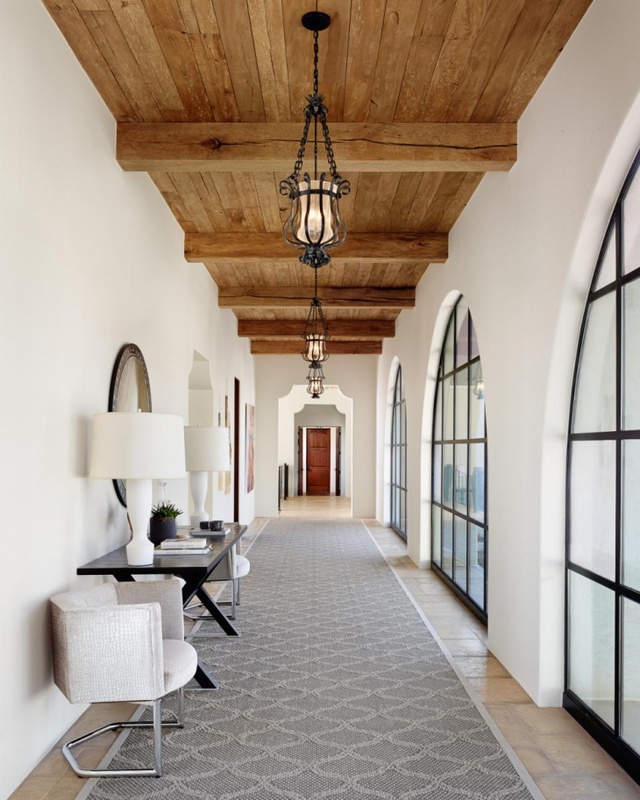 There is a number of modern hallway design and you can enhance their looks when you install nice pendant lights, attractive carpets and paint the wall with the right shade. 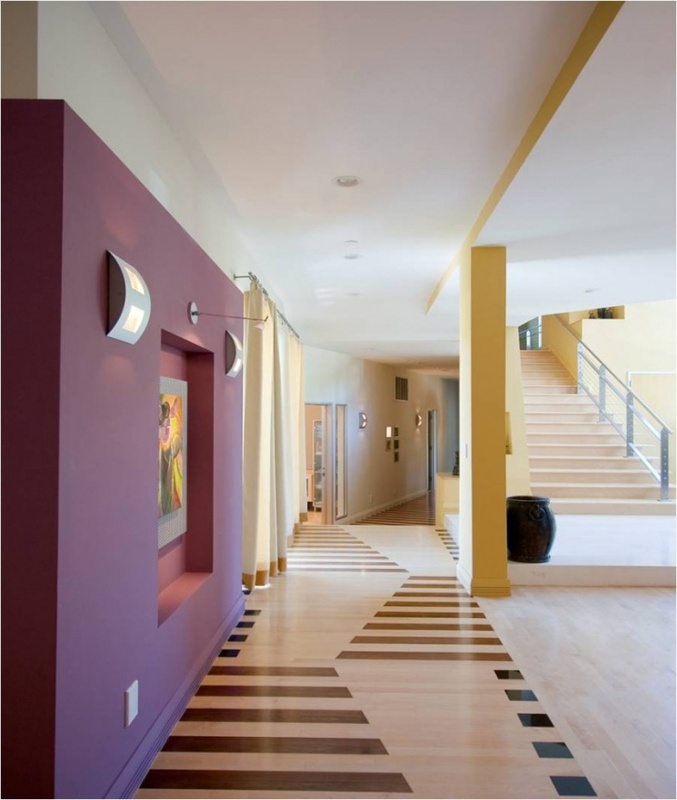 Here are ten classy Hallway Designs that will live up to your taste. 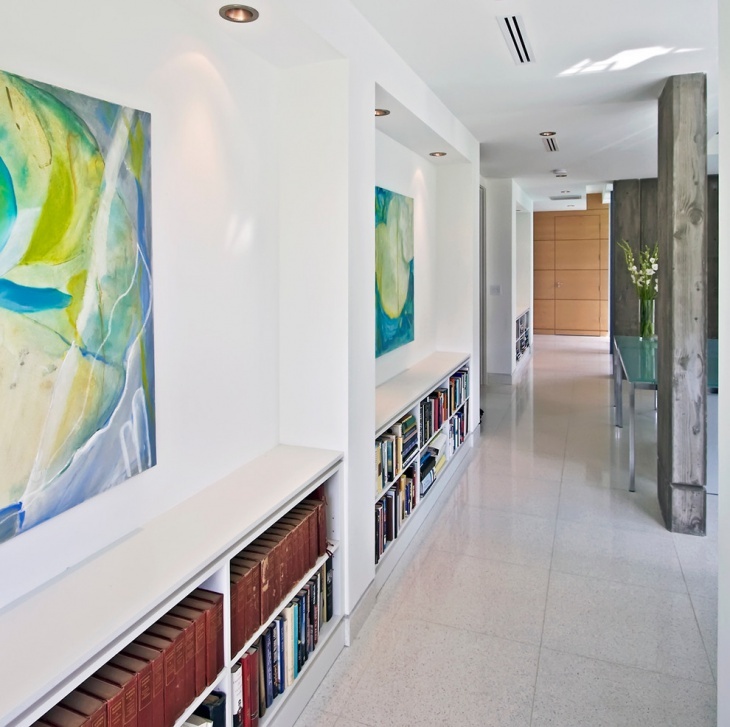 Houses with a white interior look compatible with white hallways. For a contrast, you can paint the doors in a polished shade of brown. 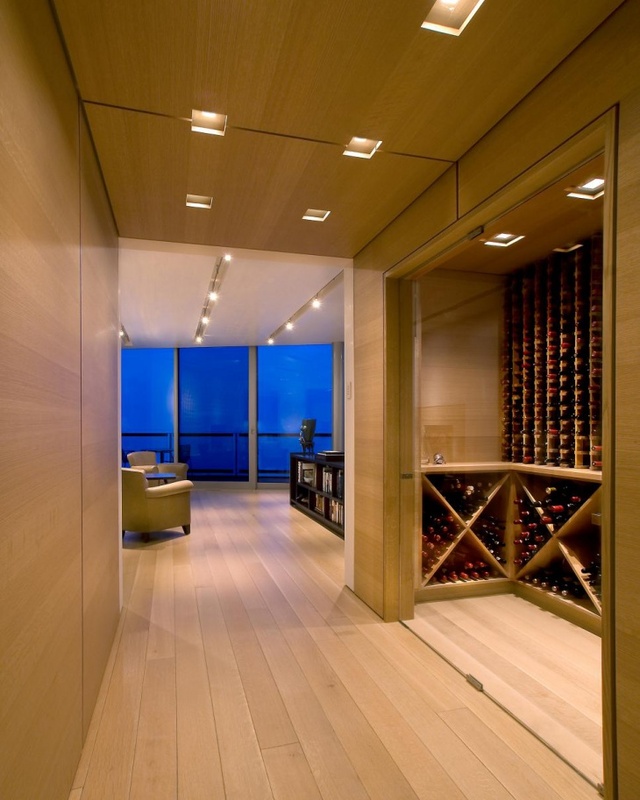 Install a few lobby furniture to make the space conspicuous, and paint it in a darker shade of brown. 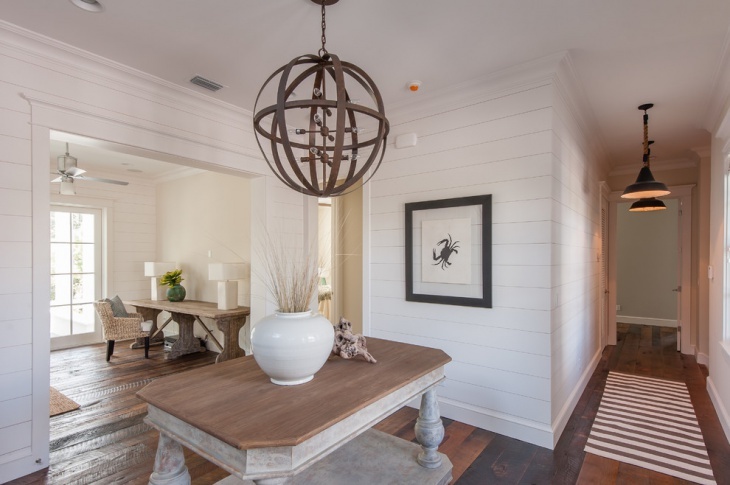 The small Hallway Light design on the wall looks matching with the other accessories. In a small hallway, you can beautifully incorporate a wall-mounted shoe rack for tailored needs. The brown colour of the interior is classy and grey floor tile goes well with this setting. The main entrance gate leads to the hall, and it gives the visitors a refined taste about your aptitudes. 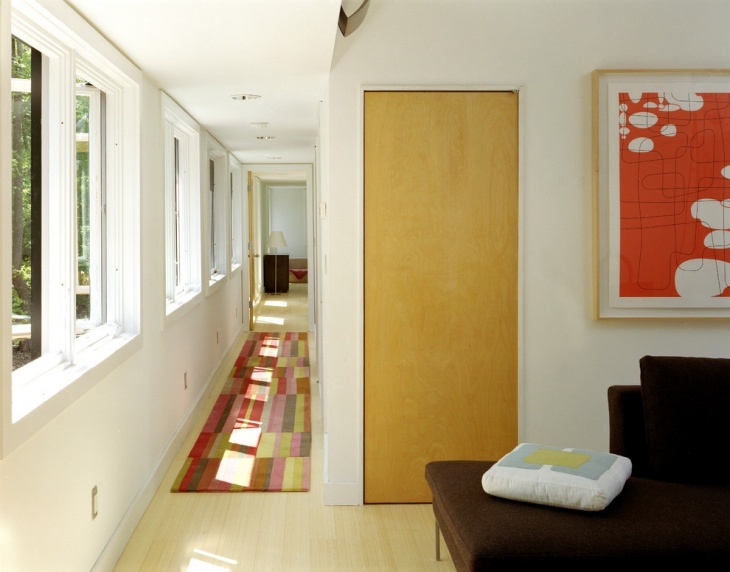 Narrow hallways are common in many homes. 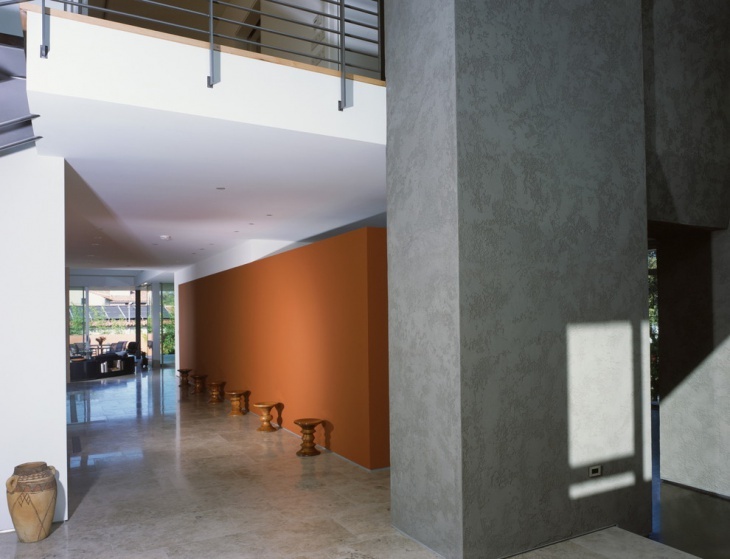 For these hallways, a gray and orange textured wall look great. You can use a grey wallpaper for this purpose. It has a faux finish and the light coloured floor tiles look glossy. 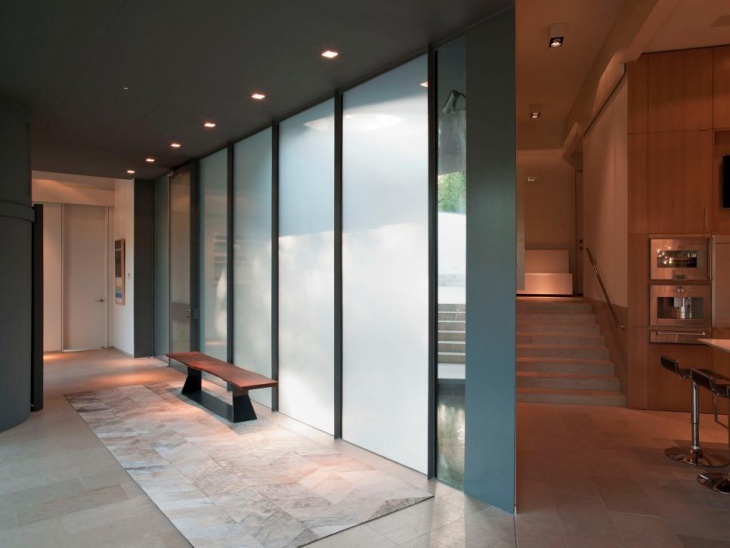 You can turn a narrow hallway into a superb balcony in your house. These hallways lead to the room on one side and have grills and windows on the other. Buy a colorful carpet for the interior. This particular hallway is a grand part of the architecture of the house. 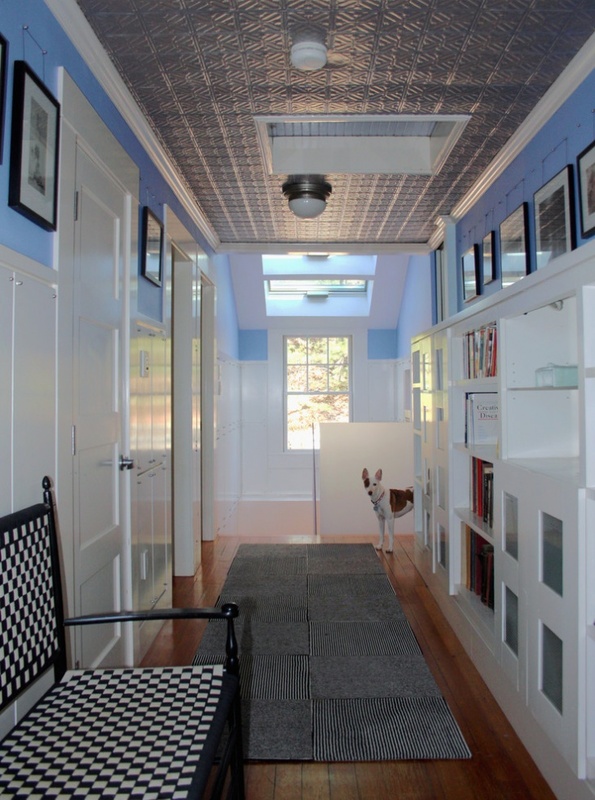 When you look out for a grand touch in the hallway, opt for tin ceiling designs. The rustic tin ceiling goes well with the steel-grey carpet laid on the brown floor. There are white walls on the sides of the narrow hallway. Fix some portraits along the walls to make the hallway elegant. 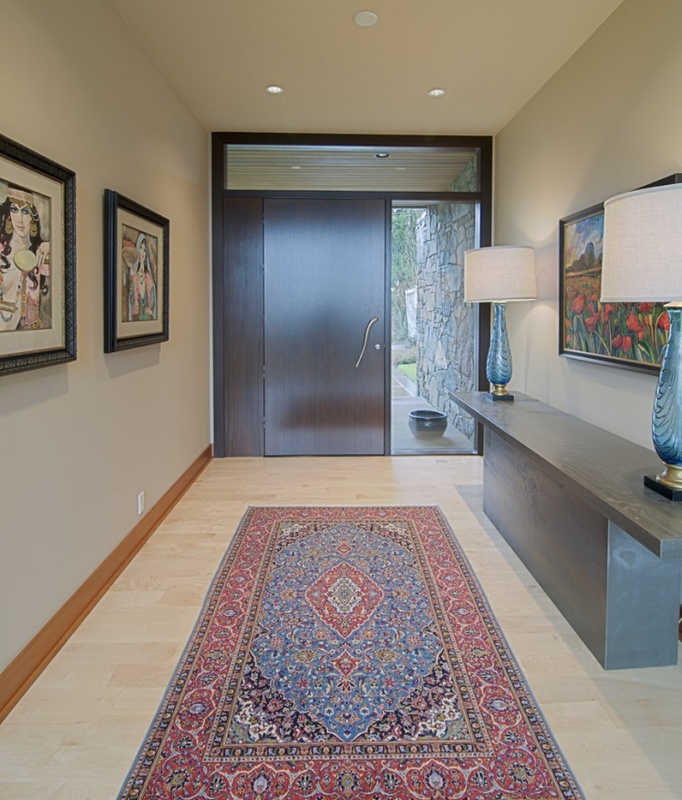 When you have a spacious hallway leading into the interior of your house from the main entrance, you can wood floor area rug with a deep red theme. The embroidery on the carpet looks compatible with the cream-colored walls and dark brown doors and photo frames. Small pendant lights on the ceiling look gorgeous. People living near sea beaches crave to have a look at the sea. 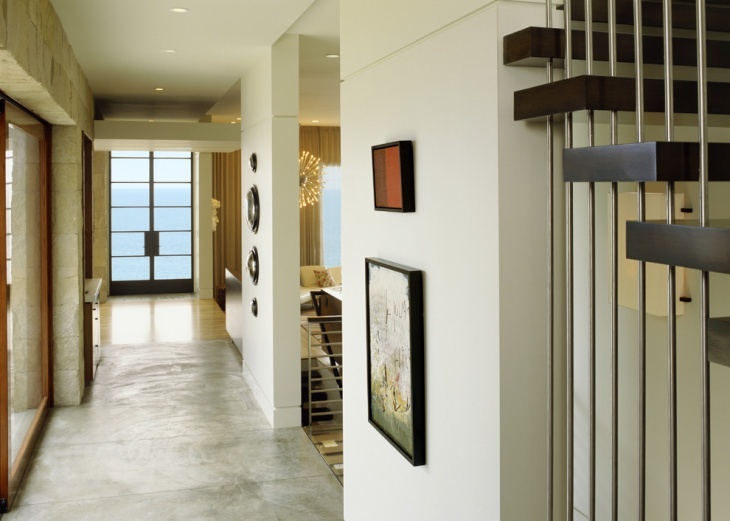 You can design the hallway along the beach front, with beautiful wall art and well-polished floors. Tee wooden frames for windows look great with contrasting portraits on the wall. 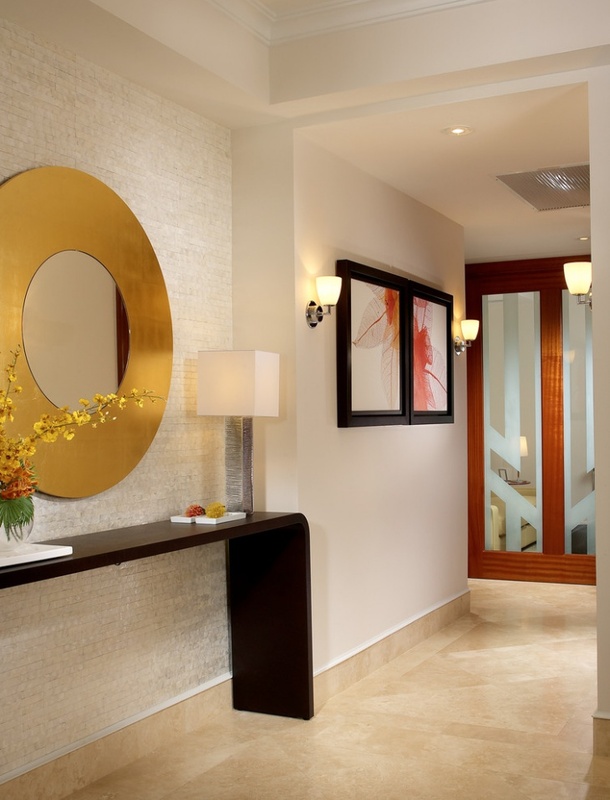 The Hallway Light design has to be brightly crafted so that it looks beautiful. In this design, there are rooms along the hall. 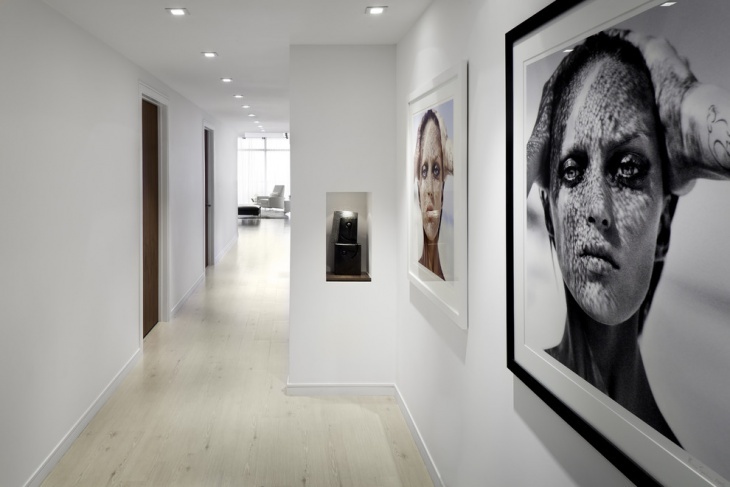 The white-theme of the hallway goes well with the dark brown floor with an elegant black and white carpet. The circular ceiling lights are perfect for this room. Beautiful modern houses have a wide and spacious hallway at the entrance, leading to an upper floor as well as the ground floor. 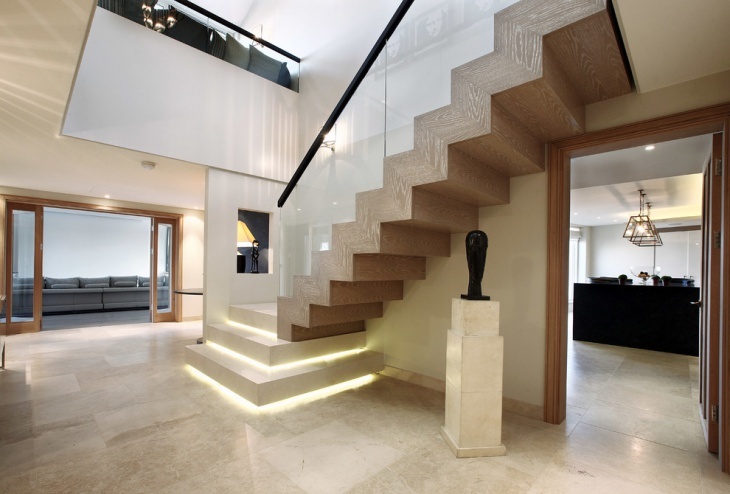 In these hallways, you can opt for a wooden staircase with glass handrail. 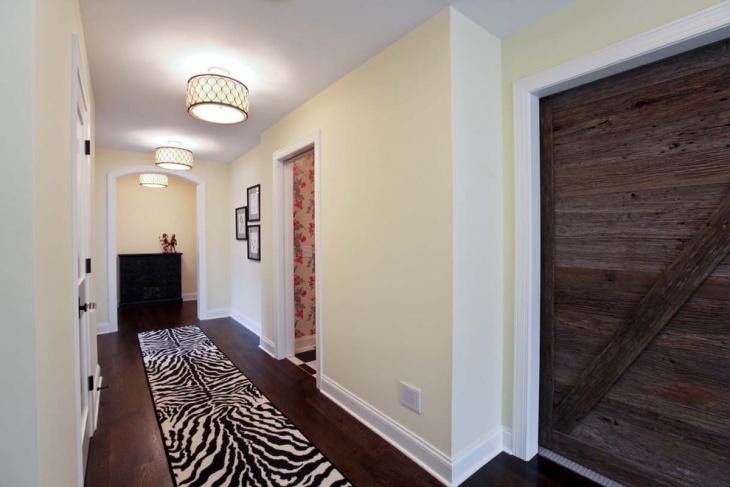 A light floor colour goes well with the wooden door frames. 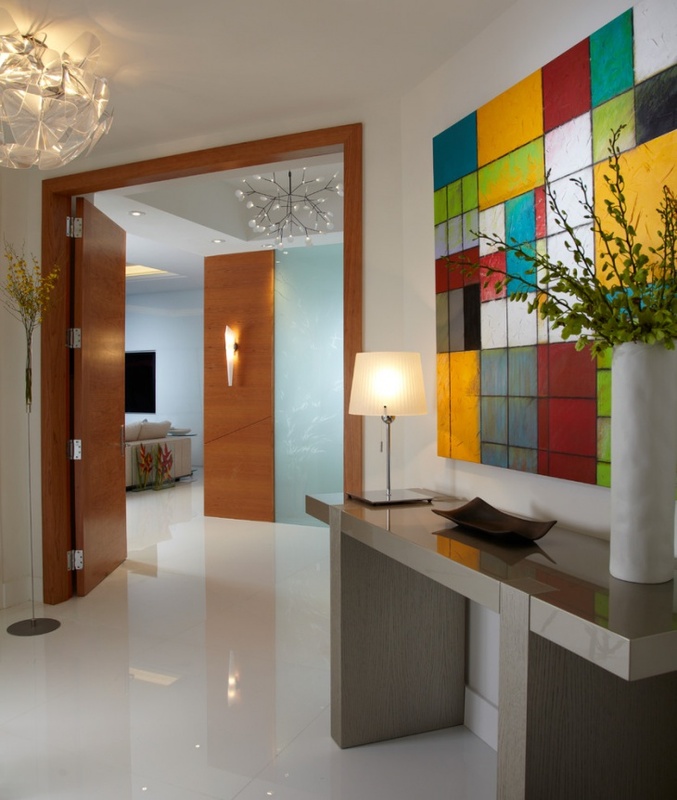 People love to experiment with modern hallway design ideas, and you will find new ideas cropping up each day. 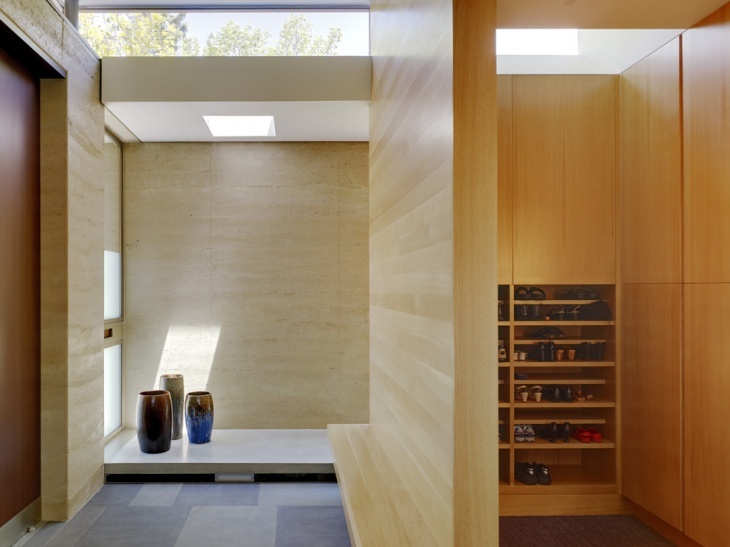 There are Small Hallway Ideas as well as beautiful designs for spacious ones. You may have come up with an innovative hallway design for your mansion, and you can share it with us if you desire to.